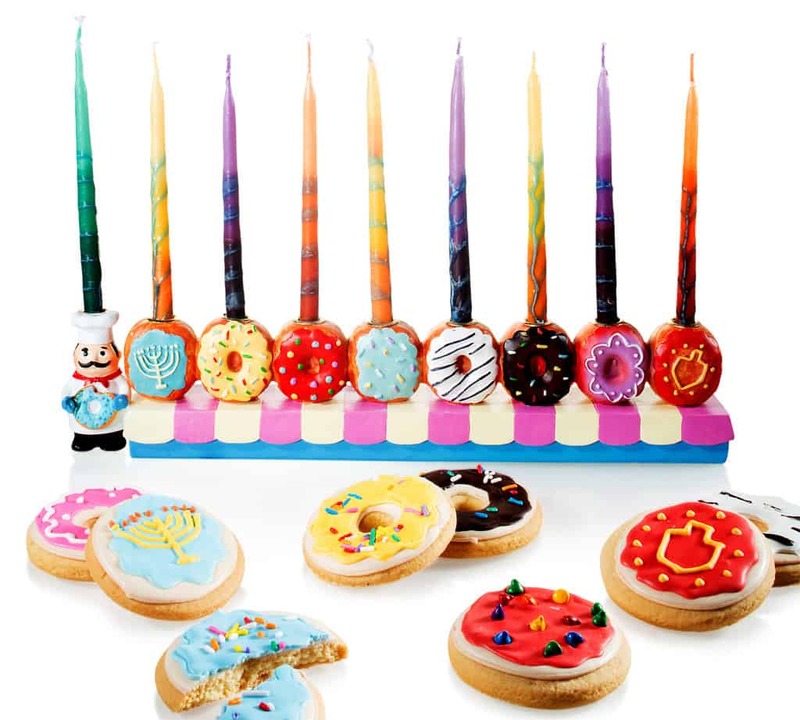 This has to be the most adorable menorah we’ve ever seen. Eight scrumptious looking ceramic sufganiyot all in a row. But it gets even better! We’ve paired this gift with a gift box of eight mini cookie sufganiyot in the same patterns. Now that’s adorable AND delicious.